In the past few years, one important component of Dassault Systèmes’ leading construction experiences – Optimized Planning – hasbeen adopted by pioneering construction firms. The power of digital technology has already given these companies outstanding achievements, both in terms of the projects they have built and the awards they have won. 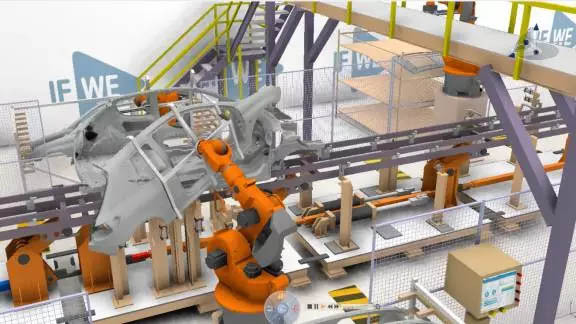 Any discussion of digital construction should start by introducing the technology on which it is based – Dassault Systèmes’ DELMIA digital manufacturing technologies powered by the 3DEXPERIENCE platform. 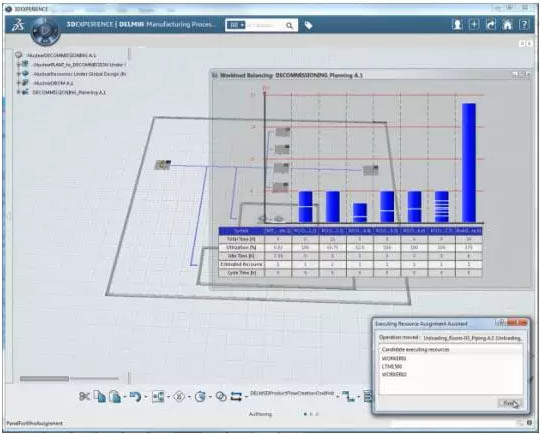 With the 3DEXPERIENCE platform, users can quickly analyze, plan, and reorganize product, process, and resource information and integrate new technologies such as virtual reality, networked computing, rapid prototyping, databases, and multimedia. It enables the simulation of product and process, manufacture of prototypes, and rapid execution of a complete manufacturing and construction processes. And now we are bringing our many years of experience and success in manufacturing to the AEC industry. 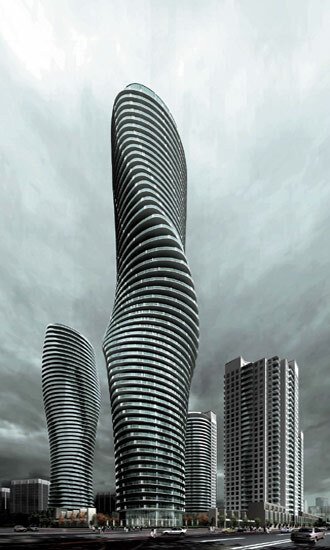 In AEC, the construction process has always been relatively crude. Most projects conduct process validation while construction activities are already occurring, inevitably leading to a variety of wide-ranging problems. Even a small mistake can cause construction delays, waste, budget overruns, or safety accidents. According to statistics from Booz Allen Hamilton, 35% of construction projects exceed their budgets and construction deadlines by 10%. 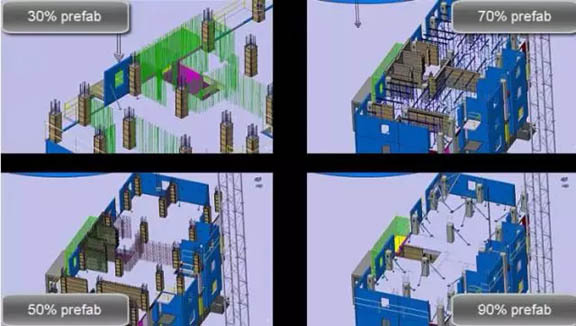 Although this method indeed ensures a thorough analysis of the construction process before work begins, the validation with physical models or even actual components are extremely costly and time-consuming.Everyone makes mistakes, and in a complex construction project, errors are nearly inevitable. We don’t dream about unrealistically perfect construction preparation, rather, we pursue strategies to minimize the cost of errors. Today, fixing errors is as simple as a click of the mouse. Dassault Systèmes’ Optimized Planning on the 3DEXPERIENCE platform creates a virtual environment for construction engineers to test ideas at nearly no cost. 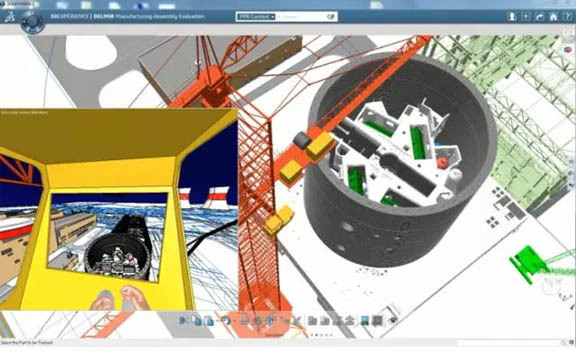 The BIM-based virtual environment brings together the people, equipment, and materials as in the real world, allowing construction engineers to find uncertainties, eliminate risks, verify the construction process, evaluate equipment and auxiliary facilities, and determine if the selected tools can ensure a smooth construction process.Two key elements are at the core of the Optimized Planning Industry Process Experience: planning and simulation. When making a construction plan, the first step is to measure the workload in each work package. Using BIM technology, engineers recreate a construction model based on the BIM model from designers.The next step is to define the construction schedule. The construction schedule should be more detailed than the construction model, and it should include clear sequences and relationships among each task. Next, the construction model should be linked to the tasks. Finally, construction resources should be assigned to each task based on deadline requirements, and the type and amount of resources will be calculated based on the construction model. This work may seem daunting, but Optimized Planning helps automate the process, on the condition that the logic and rules are clearly defined. Once the links among the construction model, schedule and resources have all been defined, engineers can conduct a variety of analyses to answer key questions: Are there any resource bottlenecks? Are any resources overbooked? Is the construction schedule compact enough? Is there room for further optimization? 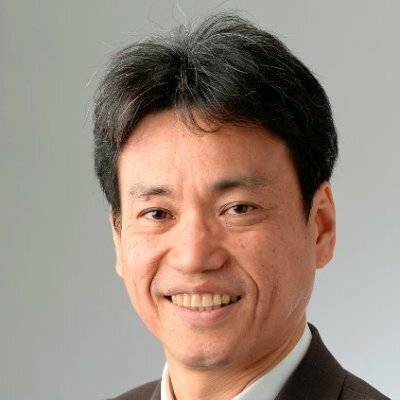 Simulation achieves several goals. First, it allows engineers to verify the feasibility of construction methods: Are there perceivable risks or remaining doubts about the project? Or are there instances where uncertainties cannot be resolved before construction begins? Secondly, simulation allows engineers to explore better solutions. In any construction project, there are a number of possible approaches. How can we compare pros and cons of each? Some approaches may be bold and innovative, but appear too risky. Other times, an approach may appear efficient, but its advantages may actually be impossible to quantify. 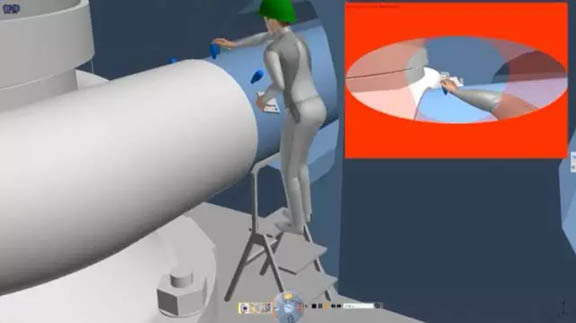 Lastly, simulation enables a study of workers and equipment. Will the workers be able to complete the tasks assigned to them in time? Will an excessive workload cause decreased efficiency or even lead to worker injury? Are the equipment and tools appropriate to the task? 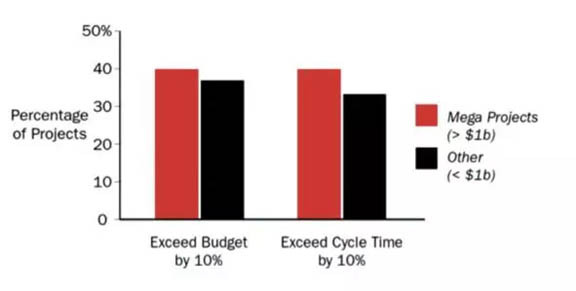 These factors all influence the smooth implementation of a project. Let’s take a look in more detail at how Optimized Planning achieves these three goals. 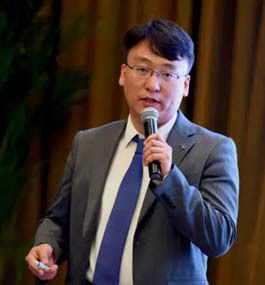 Feasibility analysis mainly uses virtual construction technology. 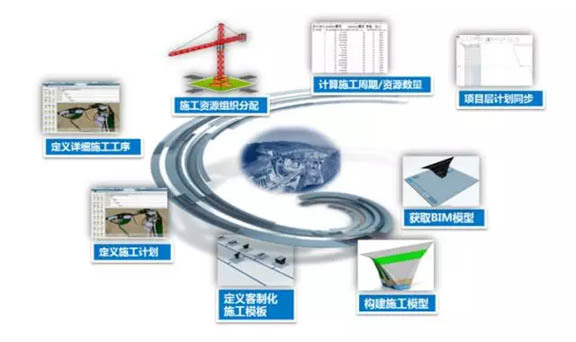 Firstly, accordingly to the construction method, the user inputs information such as the operating trajectory of various components, and the location of construction machines. The software can verify the feasibility of the construction method and ensure that the operations of the construction equipment are appropriate to the task. It examines whether there is collision between components and other bodies during installation. The software can even virtually monitor the distance between critical components in real time. When comparing different approaches on a construction project, the key factors are cost and time. Optimized Planning analyzes each approach to confirm feasibility, determine timelines, and evaluate the need of equipment. 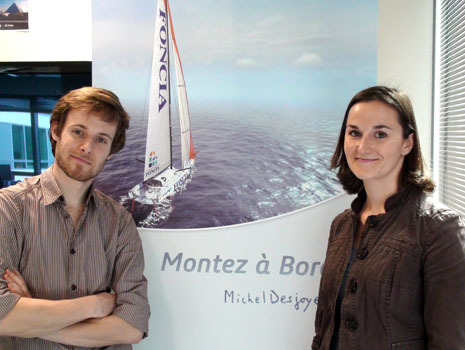 Finally, the software synthesizes this information to find the most appropriate approach that balances cost and time. Workers may need machines to complete a given construction task. However, some machines are more suited to workers’ ergonomic needs, thereby ensure comfort, efficiency, and safety. When designing machines, engineers should consider human limitations and strive to design devices that are suitable to human operation. Meanwhile, designers must ensure that safety is guaranteed for workers operating the machine. Optimized Planning can also quickly and accurately conduct simulation of the workers, the objects they interact with, and the environment as a holistic approach. This verifies the feasibility of worker tasks, reduces risks, and increases efficiency. When learning about digital construction, people often ask, “Isn’t construction simulation just an animation? Why should I invest so much in it if the rendering doesn’t look as good as an animation?” Optimized Planning isn’t marketing or animation software. Rather, it is an analysis and simulation tool built for engineers. It is designed to consider a variety of parameters to analyze and assess construction conditions, equipment movement, and potential interference. No animation software can do that. Virtual construction simulation helps companies add true value by avoiding errors on the construction site. The process animation that the software produces is only a byproduct, rather than the primary purpose. Looking at the development of PLM technology in the manufacturing industry, you will find that the widespread adoption of digital manufacturing arrived 20 to 30 years after the development of 3D CAD software. 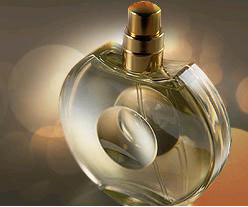 Only after it became used more deeply did users realize its value and it became widely-used. Adoption of digital construction software will grow as the use of BIM software deepens. Already, a group of pioneering companies are using digital construction software to gain the upper hand over competitors. In the near future, digital construction solutions will be used in an ever-greater number of AEC projects to add value and ensure outstanding work.